My friend Jonny posted a brief status update on Facebook the other day: don’t be a hero. And my first response was, well why not? It may be more complicated than I imagined, since my son Christian responded with a link to an article about being a hero at work—as in doing everything for everyone else. Not a good idea, claims author Alex Payne. Marlantes is one, although a humble one. He won a Navy Cross in Vietnam, as a second lieutenant whose platoon was pinned down and who saved them by charging a hill. The only way out was into deadly fire. He recounts that day, and his regrets for all the men who didn’t make it. “I knew many Marines had done brave deeds that no one saw and for which they got no medals at all,” he says. His writes about a life I never knew, just too young for Vietnam by months, literally. But his story is vivid and his description of how a group of men became a unit and how individuals in it became heroes is gripping. The story is instructive, reminding us that heroism is not always measured or even noted. 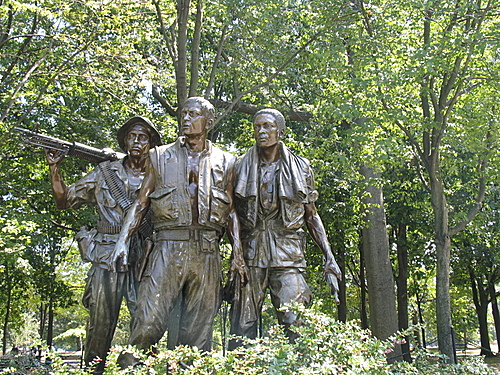 But regardless of your politics, one must admire the sacrifices heroes make and honor the principles that motivate them. I did a lot of things that day, many of which got written into the commendation, but the one I’m most proud of is that I simply stood up, in the middle of all that flying metal, and started up the hill. And that’s the thing, isn’t it. Just standing up. Sacrifice, principle, courage. These are all required if we are going to stand up, against some danger or injustice but also against our self sufficiency and self interest. We conquer our urges as the Talmud puts it. A man can be a hero easily enough. He can stand up for his wife or his girlfriend, treating them with respect in a world where women are demeaned and defrauded. But he is no hero if he stands up for them in front of others and demeans them or defrauds them himself. He can stand also up for his siblings and his friends, in a world where sarcasm is constant and people take advantage of others without consideration or regard. He just has to do so with humility and honor. But mostly he just has to stand up, both to the enemy and to himself. This moment can be transcendent and transformative at the same time. We will save the medals for the guys who get shot at, of course. As we should. But we can all stand up. Who is your hero? Tell us about someone who has stood up for you. Heroes are those who stand for what is right :).